Jasmine’s Place – Issue No. 19 is out! It’s such a pleasure to welcome you to Jasmine’s Place, Issue No. 19! 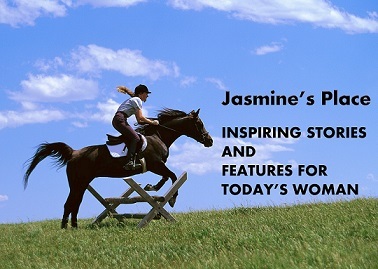 If you’re a regular reader of Jasmine’s Place, you’ll know that each issue bursts with inspiring faith filled articles and stories plus great wholesome feature and resources – as much as can be packed in! Every so often we do something different. Our 13th issue was a compilation of snippets from inspirational articles, while our 15th issue was a charity special, focusing only on charities that had been featured in Jasmine’s Place. This issue is also a little different in that it focuses only on testimonies. These are women’s stories from our first 11 issues presented together for the first time with some new testimonies we have not shared before. You’ll find stories in which women were faced with big questions in situations that range from seemingly impossible dilemmas to everyday life events. Take a look and see how their stories unfolded. Don’t forget to leave some feedback at the end of the magazine! And please do remember to share it with your family and friends. The issue is viewable in all formats and all mobile devices, so, it’s very easy to share. Without further ado, this is your Issue No. 19!